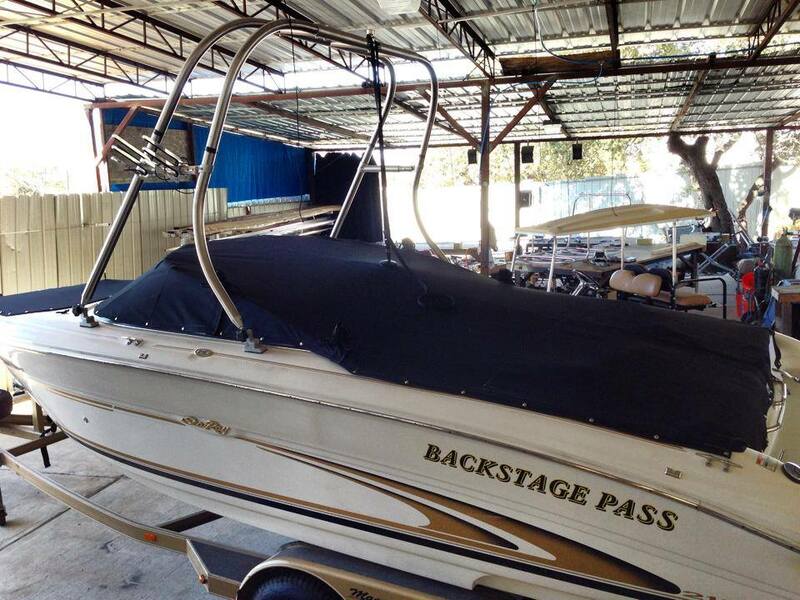 Super Air Nautique Black Sunbrella Boat Cover Over Swimplatform and with Tower Cut Outs. Logo Red Sunbrella Racing Stripe in Middle. 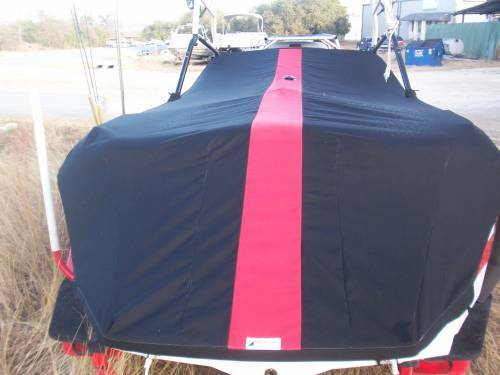 Need a Quote for a Custom Boat Cover? Send us a Message!